Jesus Christ handpicked common, uneducated men to build His church (Acts 4:13). Several were fishermen. One was a tax collector. 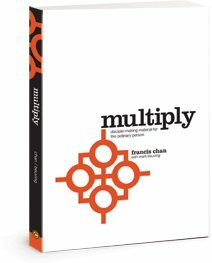 All of them could be labeled “ordinary.” Yet under their leadership, the church flourished while the world stood amazed. Today, the church looks to “trained professionals” to do the work. Lay people who have tremendous potential are made to feel inadequate by the religious elite. Many are paralyzed, believing that they “don't know enough” to be of much help. So they sit silently in church services and watch the educated minister. This was never God's intention. Too many Christians are intimidated by the thought of speaking to others about Jesus. Most feel like they don't know enough to lead others. This material is designed to change that.